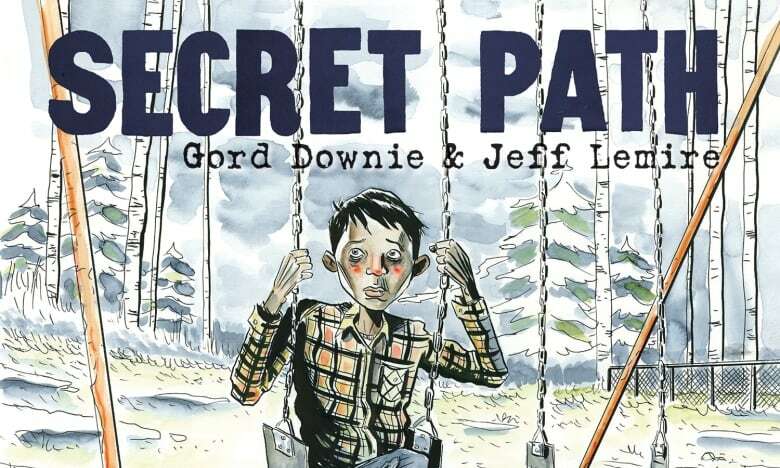 This week, Gord Downie and Jeff Lemire released their graphic novel "Secret Path," based on the life and death of Chanie Wenjack. Fifty years ago, Wenjack, a 12-year-old Ojibwe boy, ran away from a residential school in Kenora, Ontario and died trying to walk the nearly 650 kilometres to his home on the Marten Falls First Nation. Jeff Lemire is a celebrated graphic novelist who illustrated the Secret Path. 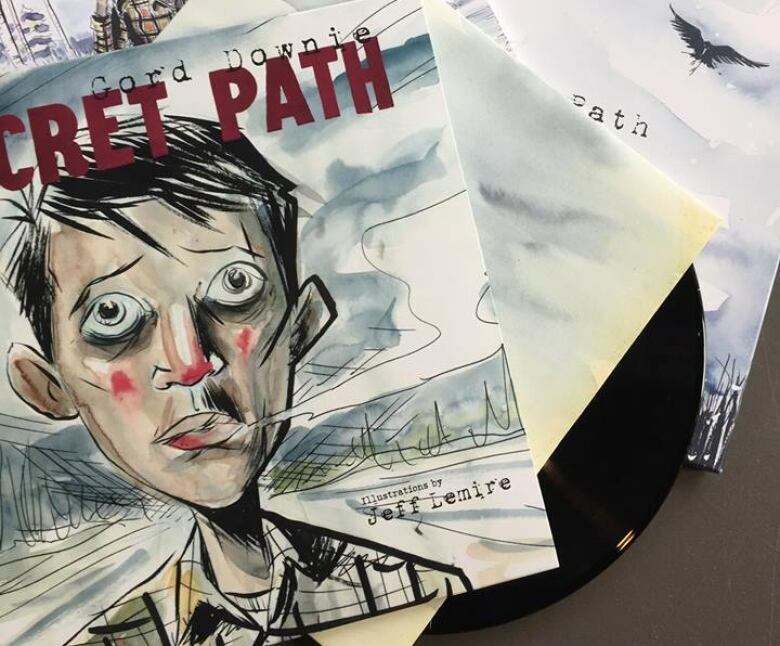 When award-winning illustrator and author Jeff Lemire was first approached by Gord Downie and his brother Mike to illustrate the story that became Secret Path, he turned them down. "I told those guys that day that, you know, it's something I wish I could do, but I didn't think I had time." "And I think they were disappointed." But the story Gord and Mike had told him, of Chanie Wenjak, a 12-year-old Ojibwe boy who died 10 years before Lemire was born, was powerful and stayed with him. "And then, that afternoon," Lemire remembers, "I should have been working on other things, but it's something that, once you start thinking about it, it's really hard to let go of it." The final journey of the 12-year-old boy, alone, underdressed, fleeing a residential school and trying to walk 650 kilometres along the CNR railroad tracks to his home in Northern Ontario, is haunting. His death from exposure and hunger, on October 22, 1966 shocked the country decades before the Truth and Reconciliation Commission would state, "For children, life in these schools was lonely and alien." Macleans Magazine reported at the time "It is unlikely that Charlie ever understood why he had to go to school and why it had to be such a long way from home." Jeff Lemire, taken that day by the story of a boy he'd never seen, and unable to focus on other work, did a drawing, a close-up of Chanie's face. He scanned it and sent it to Gord and Mike Downie with a note. He said, "I guess I'm in." "Just the idea of this boy wanting to go and wanting to be with his family, it was just so heartbreaking and I could just see that sadness," he said. The first image of Chanie in what became the visual narrative of Secret Path is a perspective drawing. He's a speck on the horizon where the tracks converge. Except for a single word, he doesn't speak in the book at all. Instead, there's his breath in the cold night. We see his memories, but we only guess what he's thinking. Often, there's fear in his eyes. But he's also unknowable. 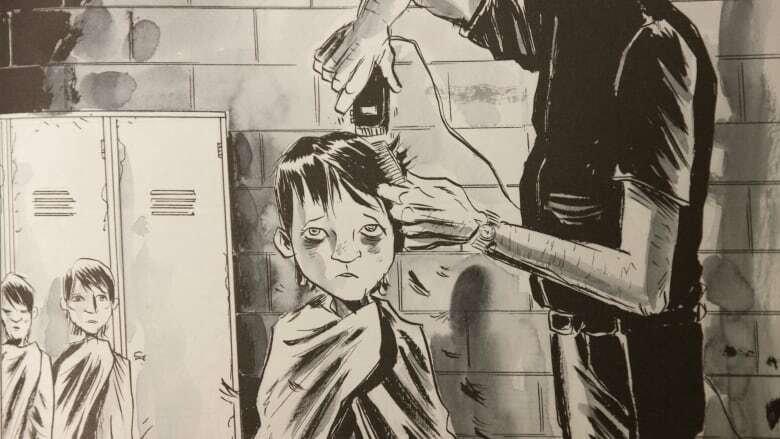 Says Lemire, "Even if his life was extremely well documented, and his inner thoughts had been well documented, there's no way we could ever be completely accurate or completely know what this boy was thinking." Chanie is also enigmatic in the songs Gord Downie wrote for Secret Path like these lines from "The Stranger". And what's in my chest." Lemire and Downie bring us close to the boy, but there's no getting past the isolation that's leading Chanie Wenjak to his fate.
" I don't think anyone in white Canada can fully ever know what that was like in the residential schools or what Chanie went through," says Lemire. "Gord and I were fully aware that this wasn't our story to tell." But every reader can feel the human toll on the boy, the longing and the fear and exhaustion as he trudges between the rails. "I just wanted to put them -- as much as I could -- into his boots and on those tracks and try to make them feel every step of the journey, not just physically, but emotionally." It is likely Secret Path will be read in classrooms across the country to educate children about the history of residential schools. "I never learned anything about residential schools at all", Lemire says of his own education. Proceeds from the sale of the book go to The National Centre for Truth and Reconciliation which centralizes the evidence gathered by the TRC and works towards reconciliation between Canadians and Indigenous peoples. Indigenous youth in Canada continue to face enormous obstacles in places like Attawapiskat, Pikangikum, Stanley Mission and La Ronge. They make fatal decisions about their lives every day. Should their stories be the ones that are told instead of the decades-old tragedy of Chanie Wenjak? "I think a lot of people, especially in Canada, think that these things are of the past," says Lemire. "And as soon as you start to become aware of what's happening in our country today, you realize that things aren't better. The legacy of what happened is still very much part of these people's lives and until we wake up and start to communicate with one another better, there's no way to move forward or to make anything better." When the songs from Secret Path were performed in Ottawa last week, Chanie Wenjak's sister Pearl came to the stage and sang a prayer in the Ojibwe language, and wept. "Pearl and Evelyn and Chanie's sisters all embrace this project", says Lemire, "And for me that's the only validation I need [to believe] that it's valuable and it's done some good." Can a Twitter taunt bot defeat the trolls and save political discourse?